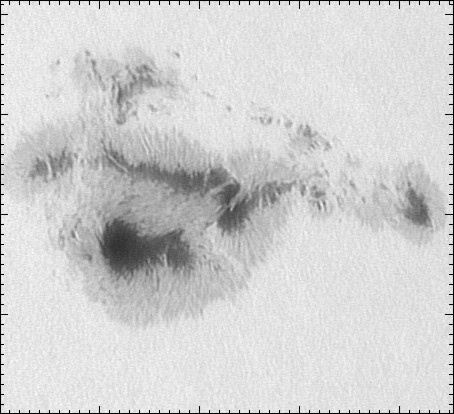 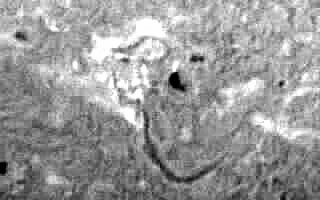 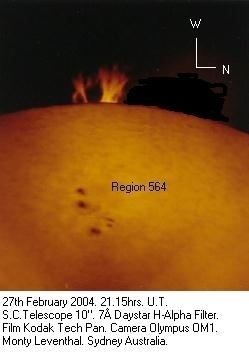 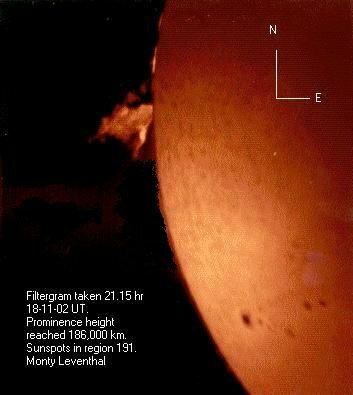 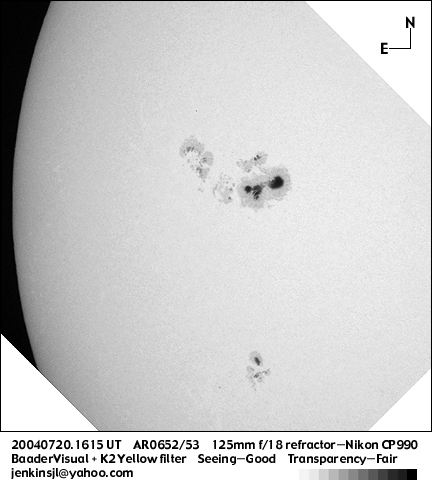 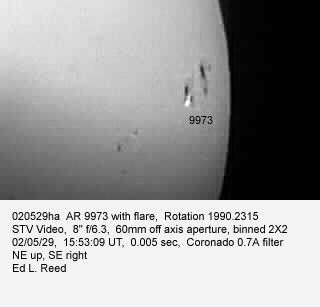 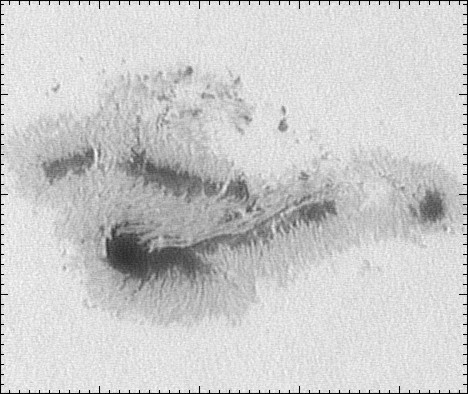 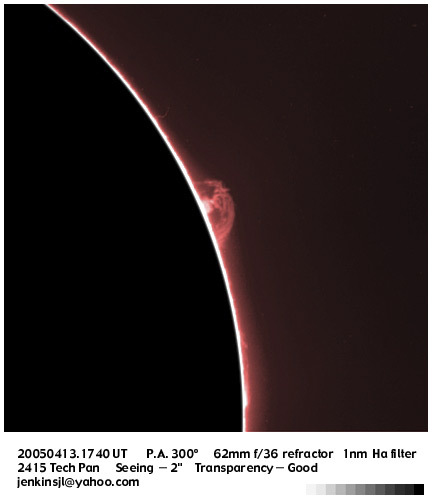 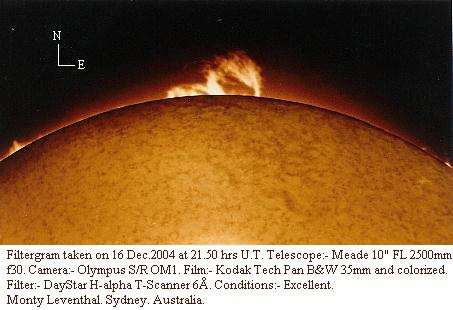 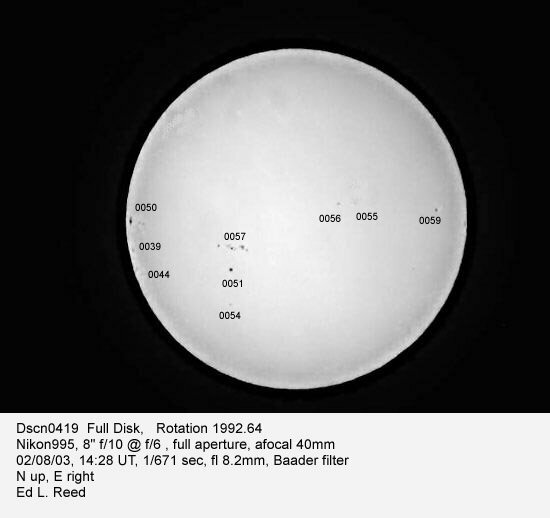 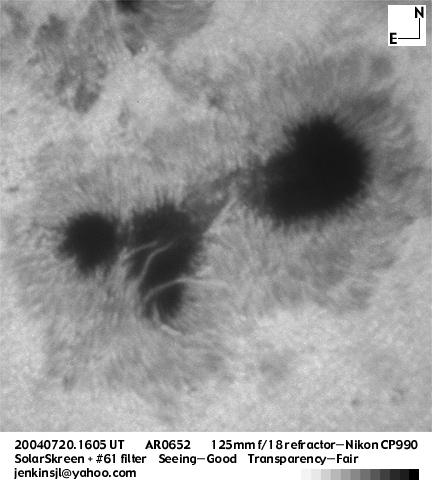 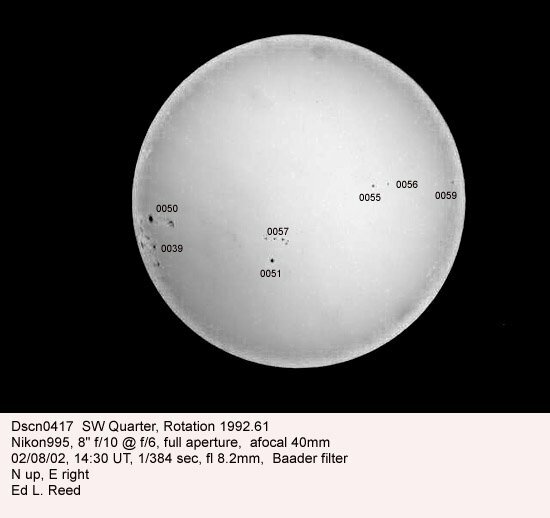 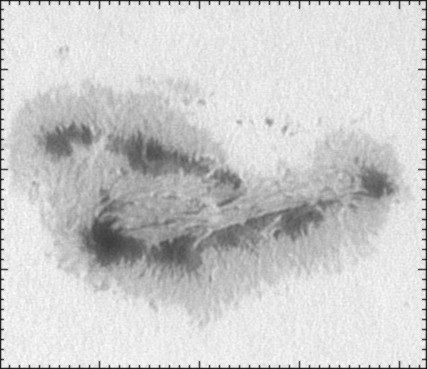 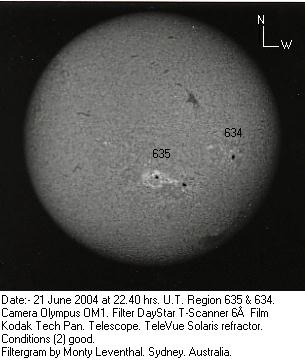 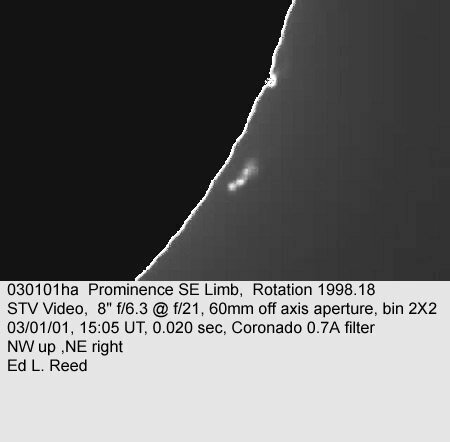 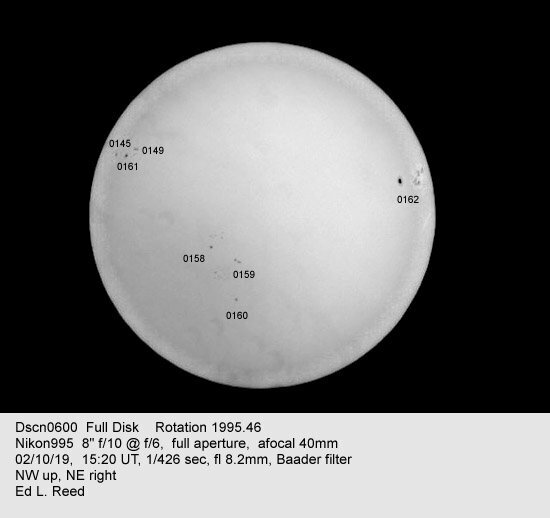 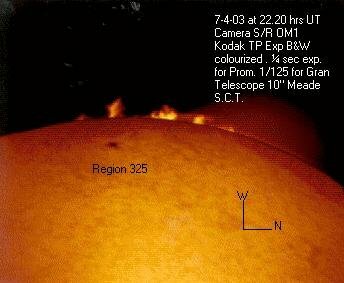 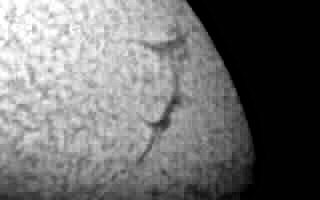 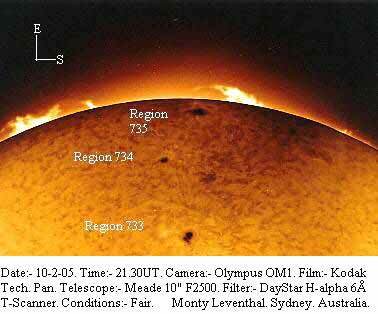 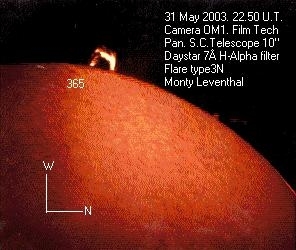 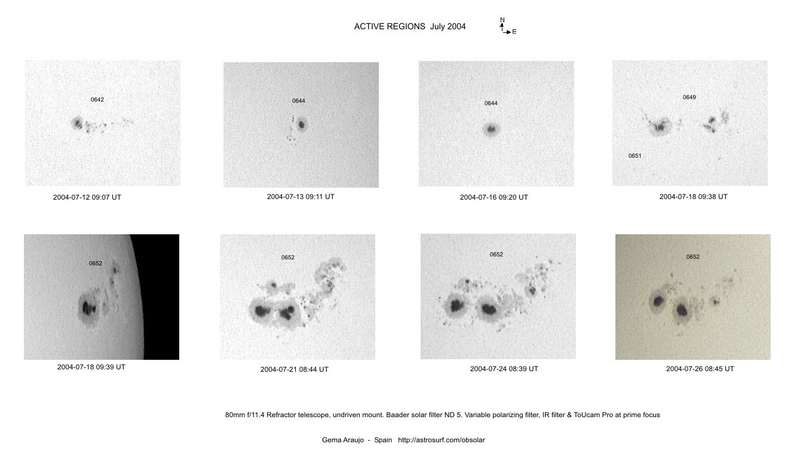 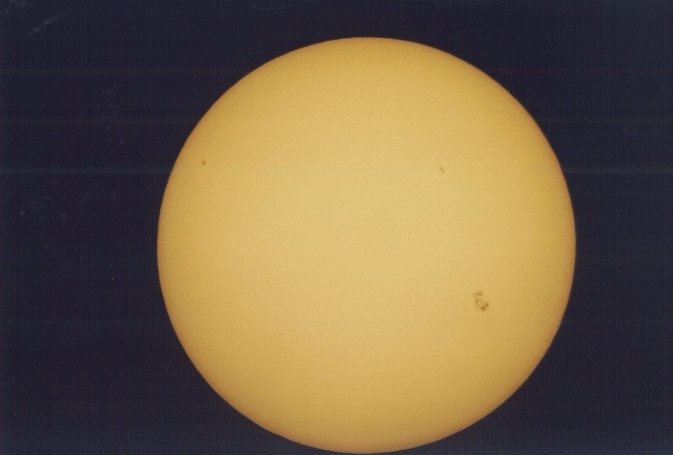 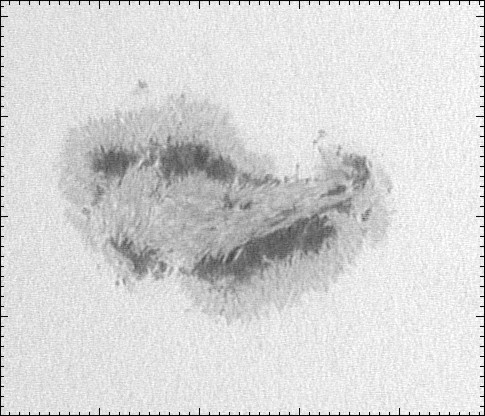 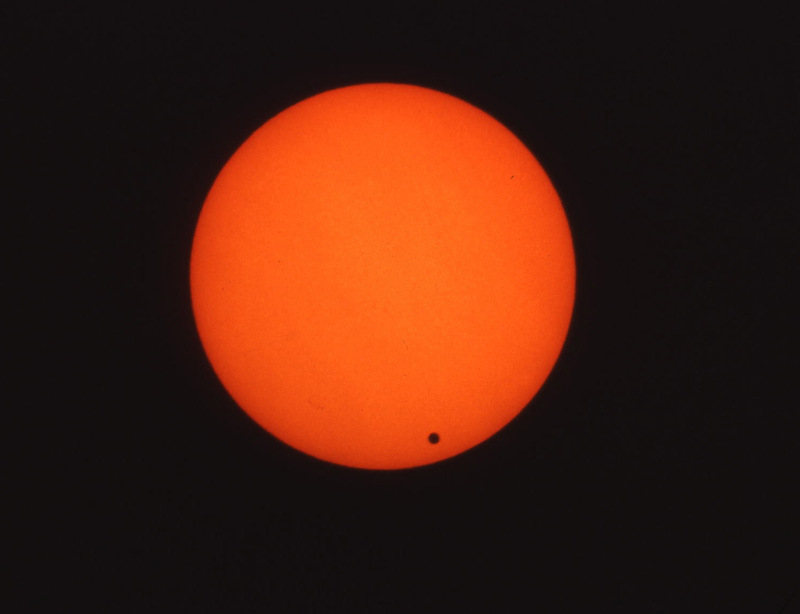 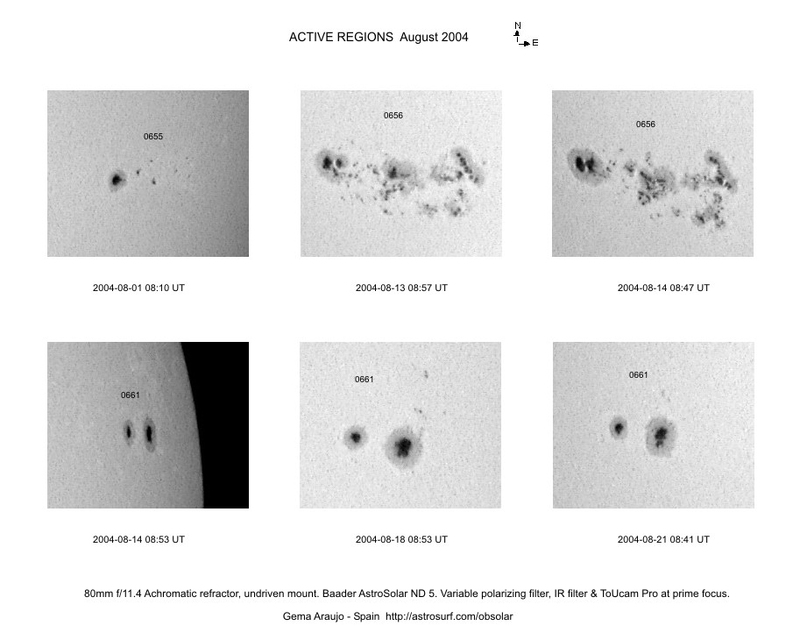 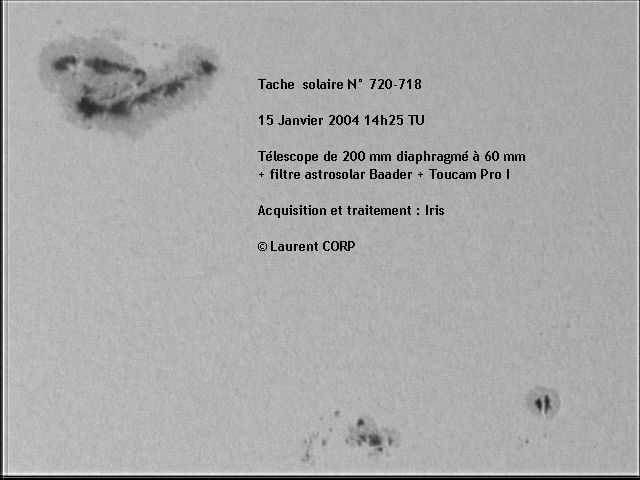 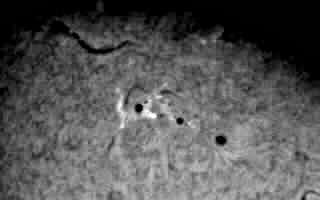 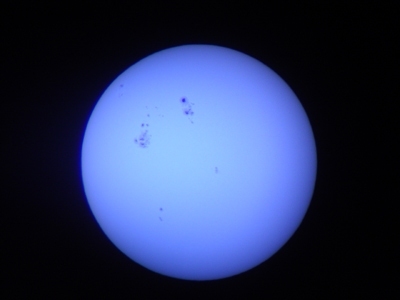 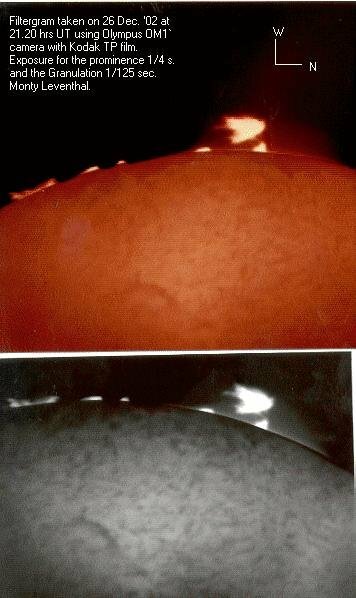 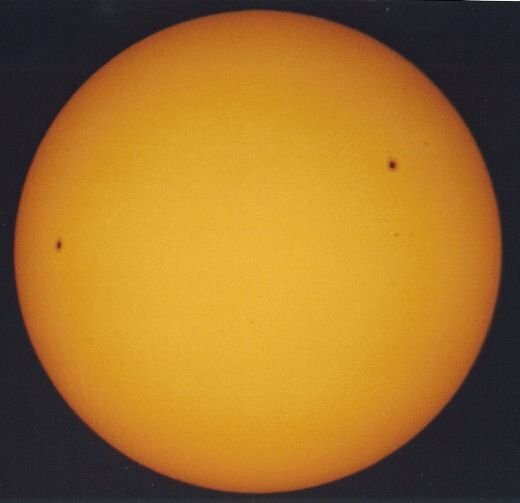 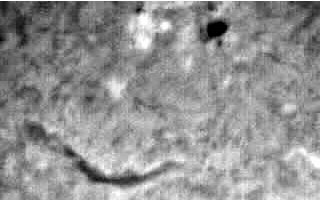 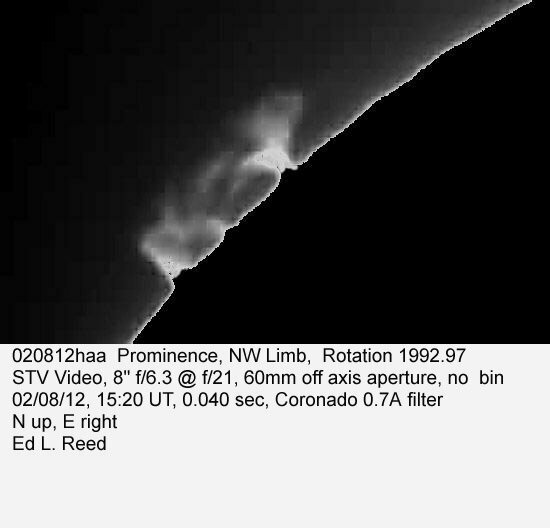 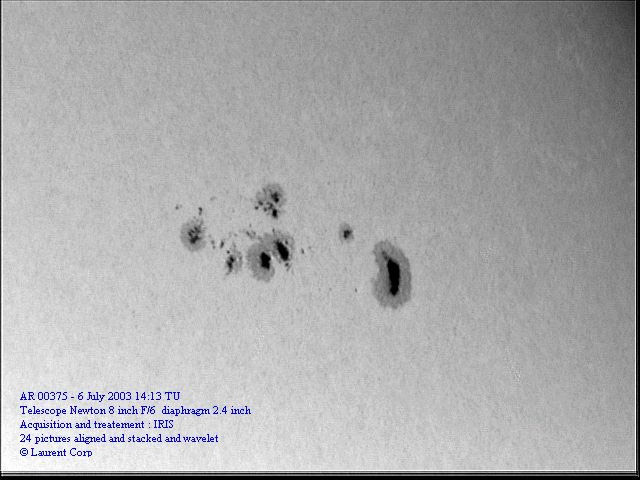 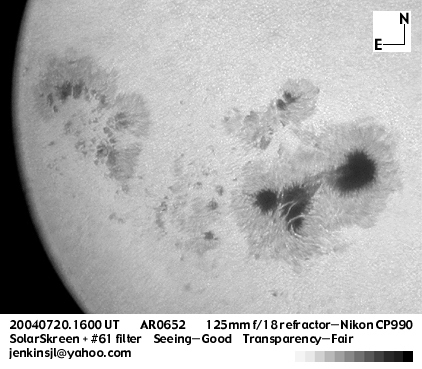 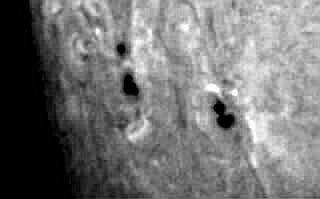 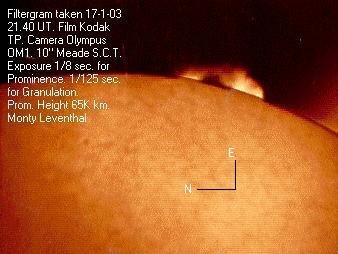 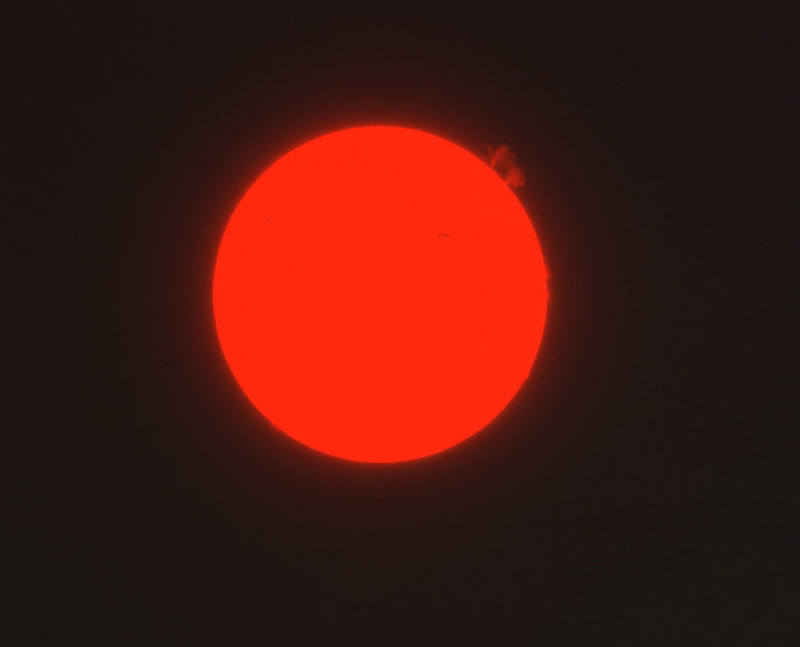 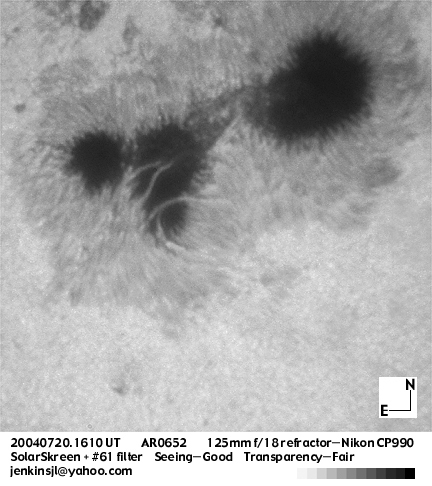 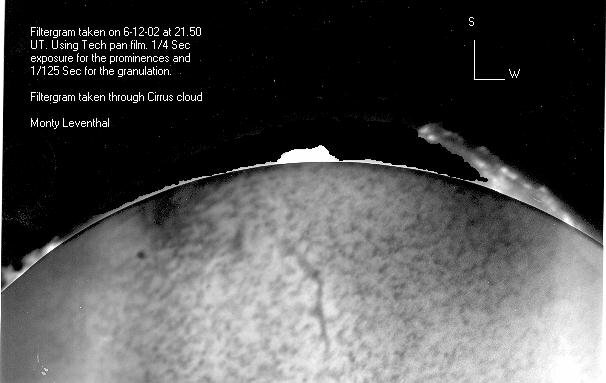 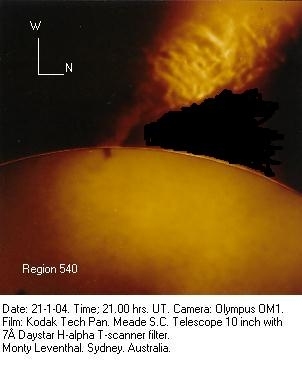 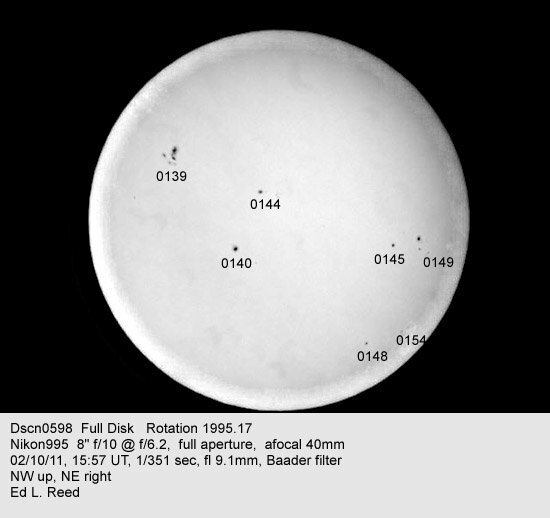 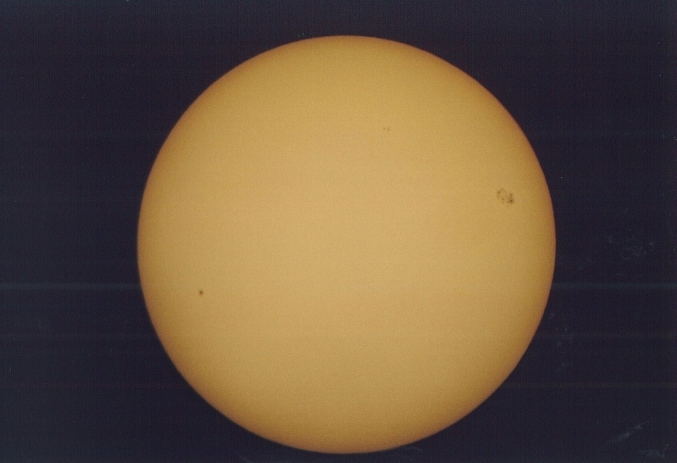 Here are a number of solar photographs obtained by AAVSO solar observers over many years. 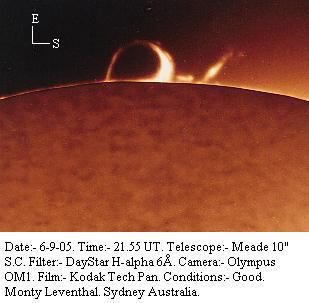 Thanks to all of the photographers for sharing their images with us! 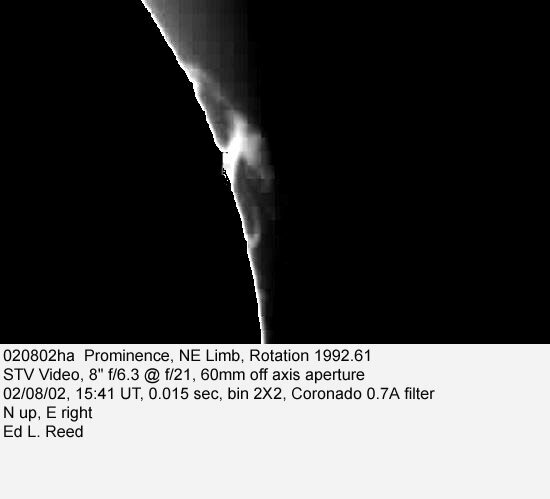 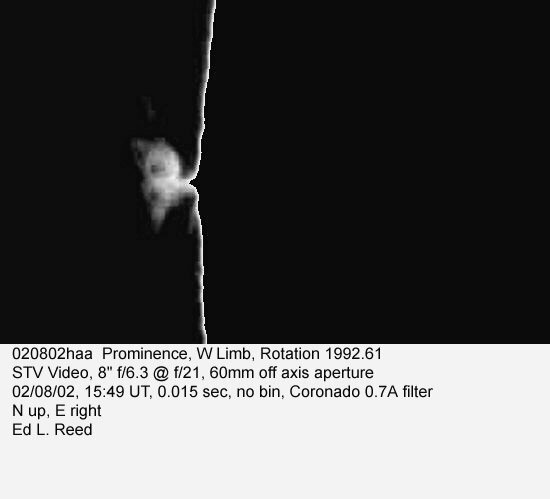 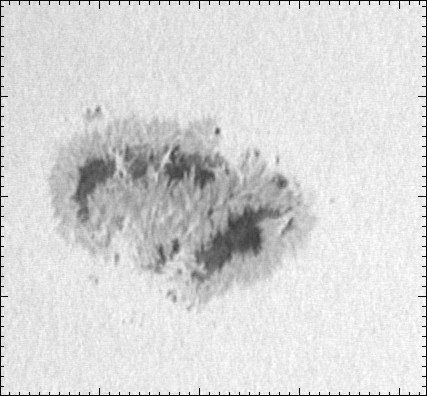 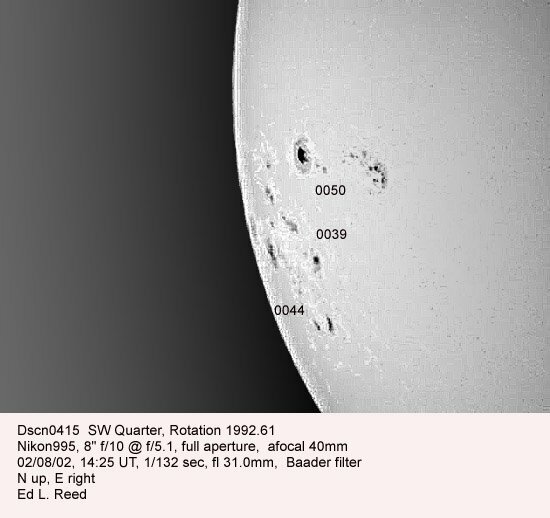 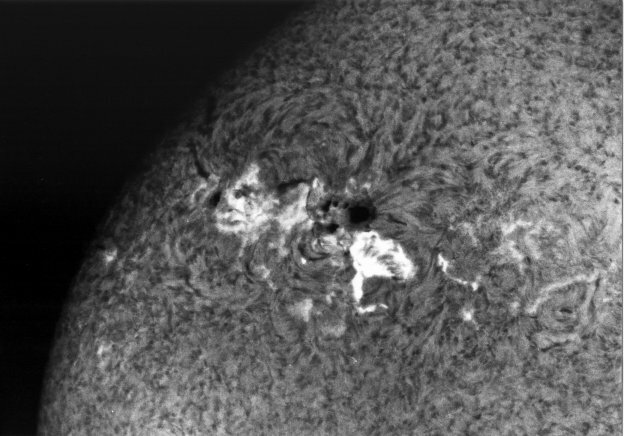 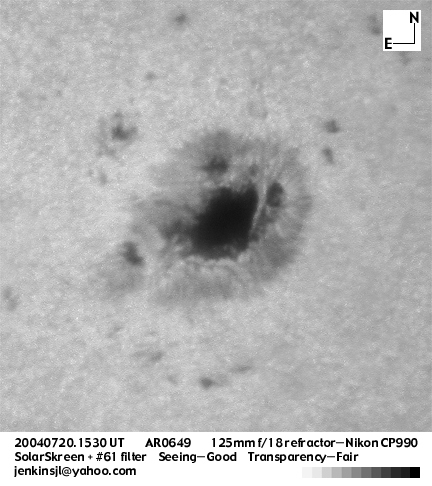 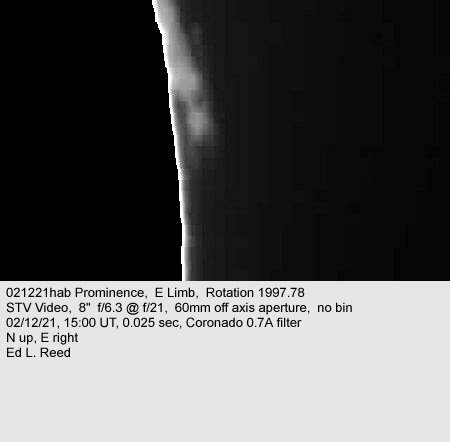 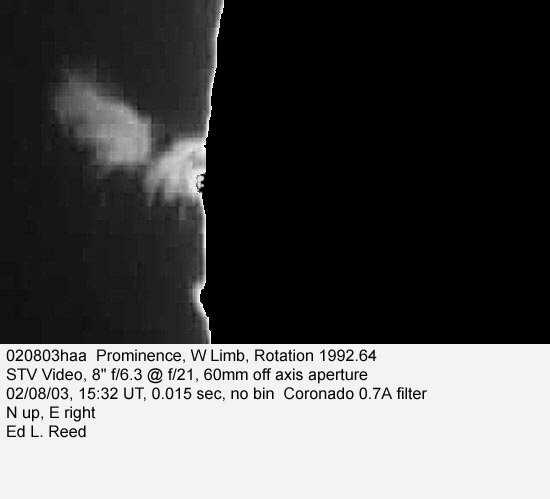 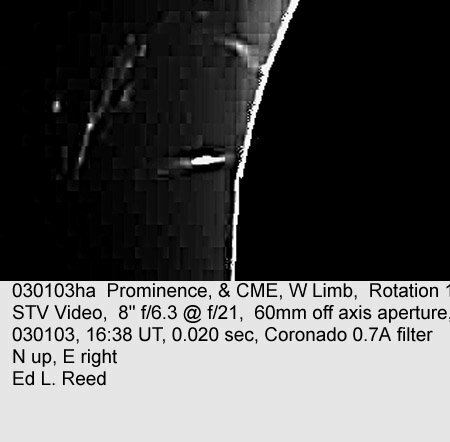 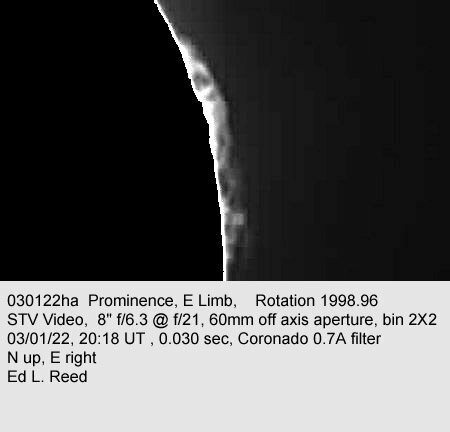 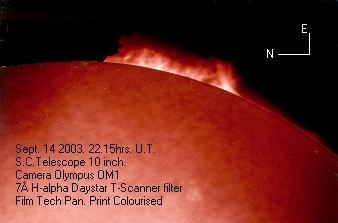 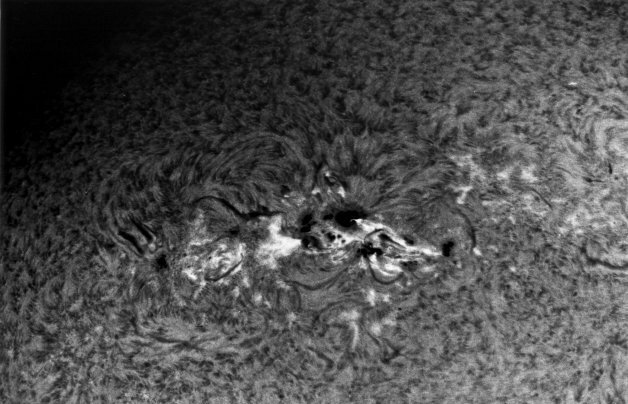 (LERM) September 2002 Made at the focus of a 102mm APO refractor equipped with a Baader AstroSolar filter. 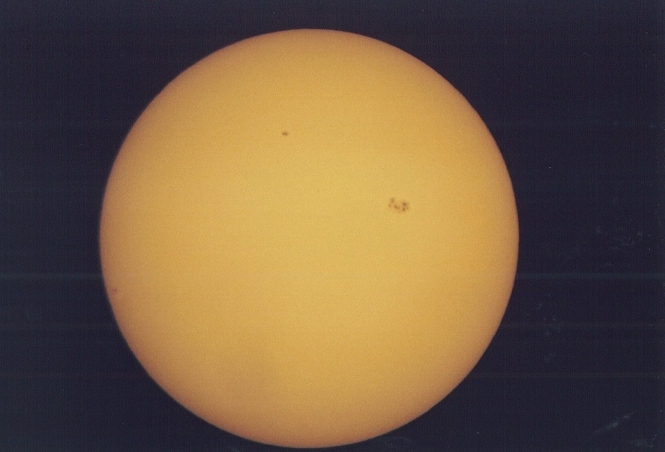 An Olympus OM1 camera with a 2x multiplier and green no. 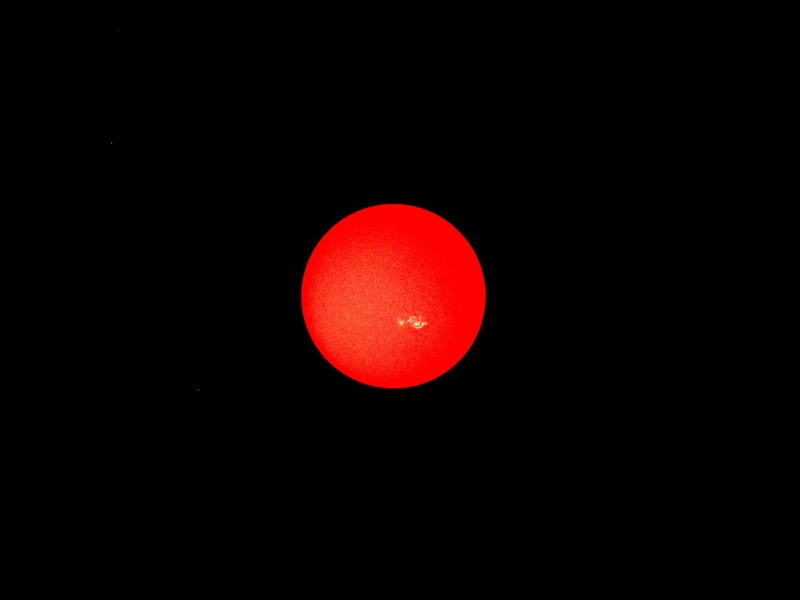 56 and UV filters was used. 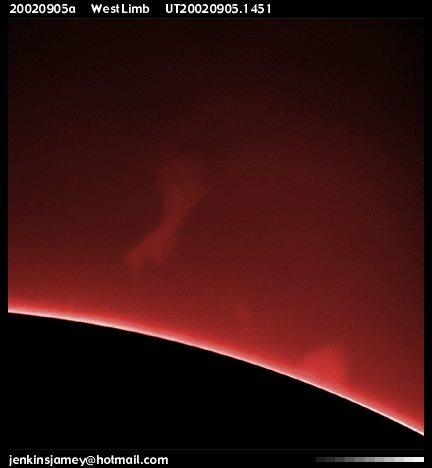 The 1/125 sec. 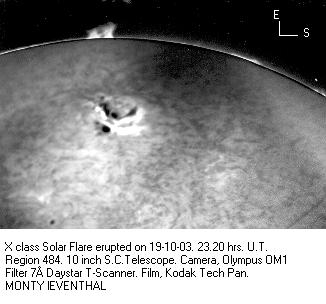 exposure was made on Kodak T Max 100 film. 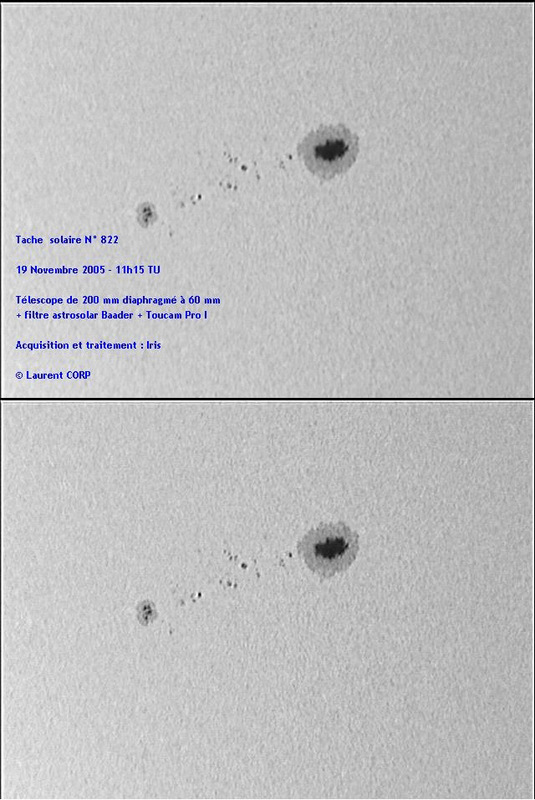 8 " May 28, 2003 "
9 " May 29, 2003 "
and Steve Luker between 2030 and 2100 UT on October 30, 03. 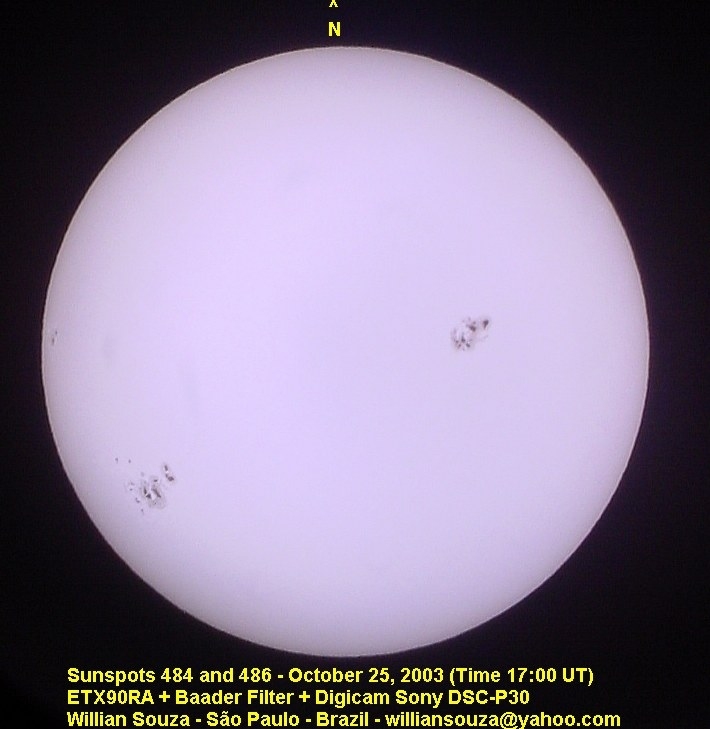 StarHOC 80mm refractor with a white light mylar solar filter Sony MVC-FD95 digital camera. 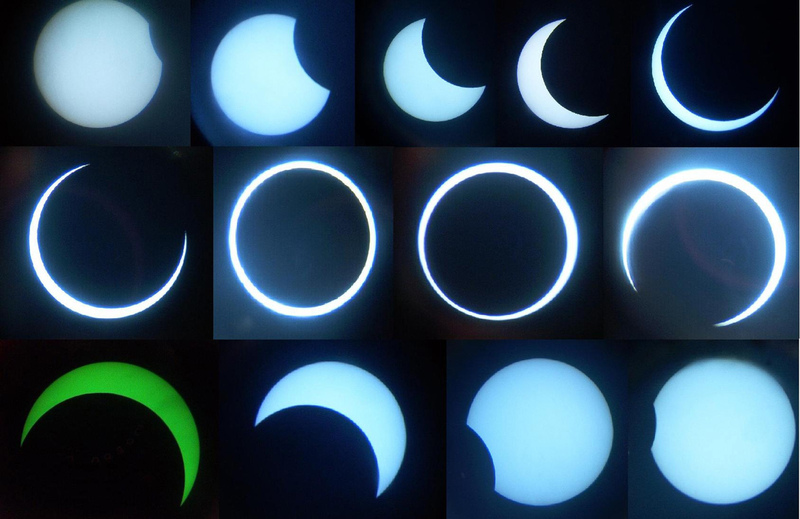 Composite of images taken over the course of the recent solar eclipse. 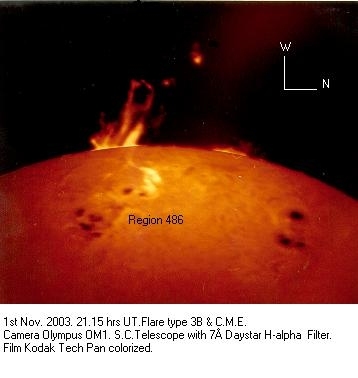 All images except the lower left (green one) were taken with the aid of an HP digital camera on October 3, 2005 that was attached to a 90/1000 mm refractor equipped with a mylar filter. 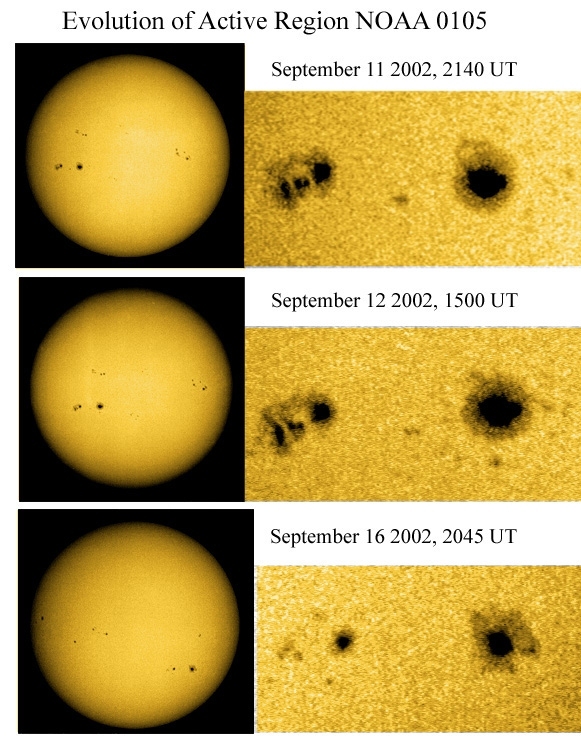 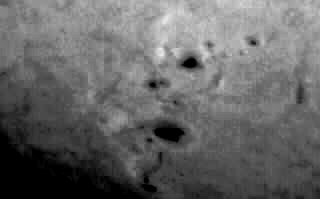 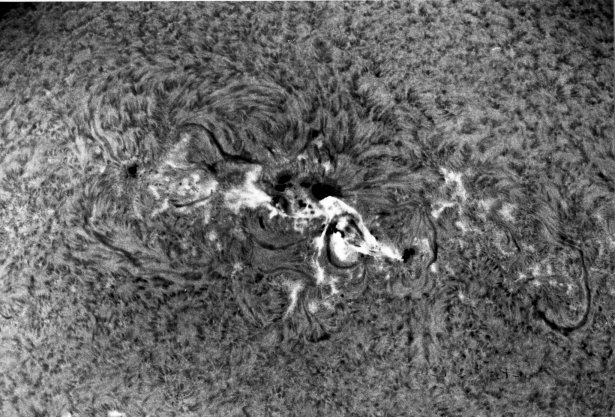 The lower left image, also made on October 3, was made with the aid of a helioscope. 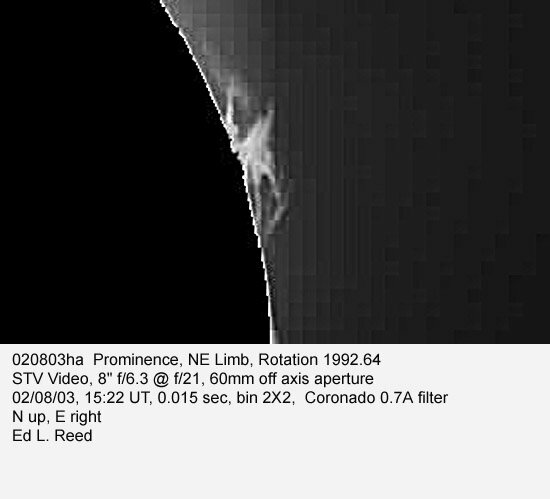 (JENJ) September 5, 2002 West Limb 125 mm f/18 refractor, stopped down to 62mm, a 25mm Orthoscopic and 10 Angstrom H-alpha filter; Nikon digital camera. 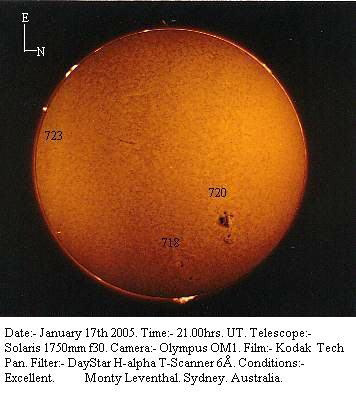 14 " January 14, 2005 "
15 " January 15, 2005 "
16 " January 16, 2005 "
17 " January 17, 2005 "
Jean Dragesco (DRAJ) March 26, 2001 1310UT Close-up of very large flare near limb Photo taken at 1/200 sec. 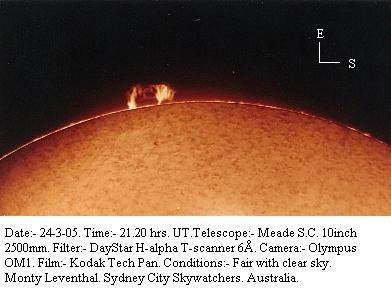 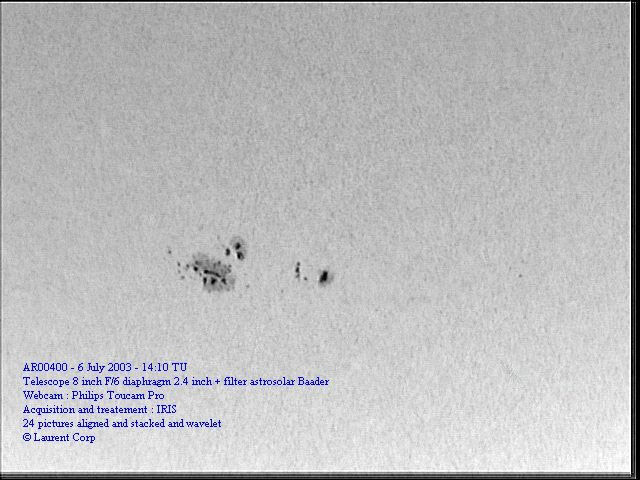 using 2415 film with the following equipment configuration: 127 mm refractor; 116 mm rejection Schott filter; Astro-Physics telecentric converter, F/D=28; Day-Star H-alpha 0.5A University filter.